In the past year there’s been a bit of a careers and job scare when it comes to artificial intelligence, automation, and related technologies. Big consulting firms have conducted studies about the future of jobs and whether they will be lost to artificial intelligence. The consensus is that jobs will be lost, while some jobs will be created. LinkedIn’s 2017 US Emerging Jobs Report, published in December, noted that the demand for data science skills has been on the rise for several years. “Data scientist roles have grown over 650 percent since 2012, but currently 35,000 people in the US have data science skills, while hundreds of companies are hiring for those roles – even those you may not expect in sectors like retail and finance – supply of candidates for these roles cannot keep up with demand,” the report said. What’s more, the report cites the growth rate for machine learning engineer jobs to be higher than that of any other job over the last 5 years. Just what is a machine learning engineer, and how can you get the skills needed to perform this job? The LinkedIn report also looked at the career paths of professionals who are currently employed as machine learning engineers. The top jobs leading to that the machine learning title are software engineer, research assistant, teaching assistant, data scientist, and system engineer. The top skills for that job title are machine learning, research, algorithms, software, and deep learning. Experts at the recent AI Summit at Interop ITX 2018 said that to keep up with their own skill sets they attend conferences, read academic papers, participate in professional communities. Cloudera Fast Forward Labs Data Scientist Friederike Schuur said that there is so much material online that people can use to improve their skills. But the panel overall urged caution in signing up for just any old course with machine learning in the title. Not all are created equal. 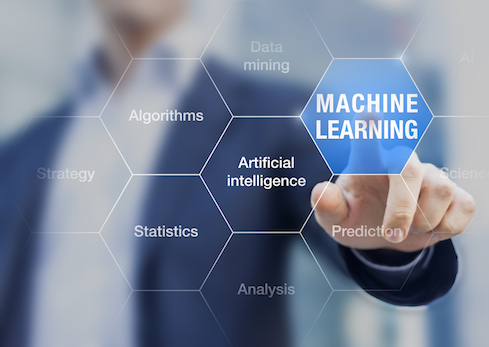 With that in mind, InformationWeek has put together a short list of 5 free online Machine Learning courses created by some of the top schools in the country. These courses are not entry level. Even the one course that is listed as introductory has some prerequisites. Prerequisites for these courses overall tend to include computer programming and advanced mathematics. But if you are a professional looking to transition to one of the highly paid, in high demand positions of machine learning engineer, here’s a selection of online courses that can help you get the skills you need to make the move.